Wrangling my foot around my body and arching my back into position, I find it almost impossible to catch a breath. “Can you hurry, please?” I ask, as I manage to half-laugh through gritted teeth. 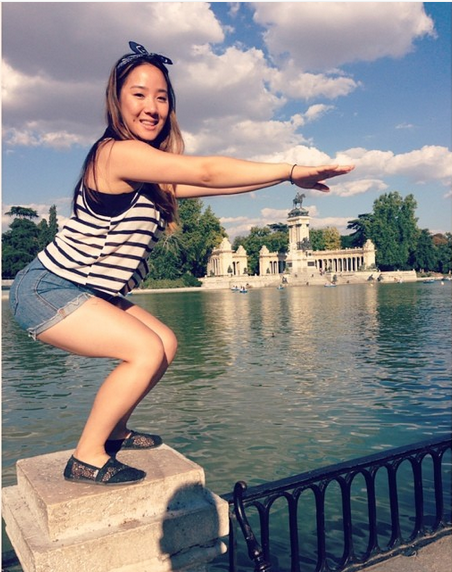 I first decided to instagram photos of myself in fitness poses at major tourist attractions during a trip to Spain last summer. Initially, I took these photos as proof I could remain active and not ruin my fitness progress with travel-induced sloth and gluttony. However, after returning to the States, I continued my #FitnessFoursquare project, finding it the perfect way for me to “check in” with my health and wellness. 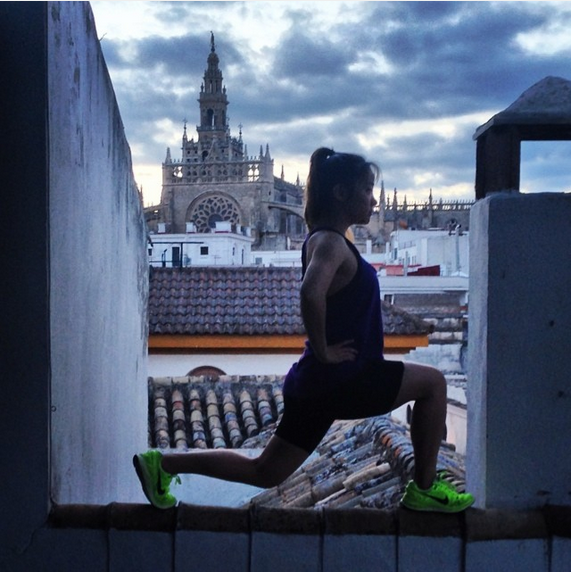 Lunging on the ledge in front of Seville Cathedral. I’ve found this project to be a great way to stay connected with my goals, and now I want to spread the “fitspiration.” So, grab your fitness gear and a phone because after you read these four reasons to participate in #FitnessFoursquare, you’ll want to strike a pose, too! Seeking out and creating these moments to capture is just plain enjoyable. It’s become another exciting part of my traveling adventures. If it weren’t for my #FitnessFoursquare photos, I wouldn’t be jumping on statues and planking down the stairs of a cathedral. My adult self makes way for my kid self for a brief moment, and it is then that I can taste the savory vigor of life. 2. It can help you maintain balance. When taking my precious time off, I used to let go of all inhibitions and overindulge during vacations. I stuffed my body with any and every type of food available, drank without limitations, slept in with no alarms, and sat down every chance I got. 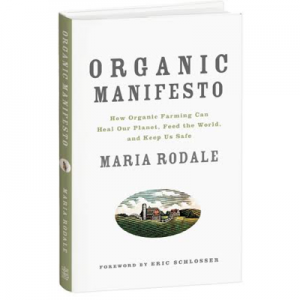 My gradual journey towards a more balanced lifestyle stressed the importance of extending daily health practices—even during weekends, vacations, and rare travels abroad. Each #FitnessFoursquare pose remind me to be a little more active each day. Whether saying, “no, thank you” to the second glass of wine or yes to getting in a few more steps—just one little, mindful dose of health and fitness helps in attaining a whole, balanced, healthy lifestyle. Squats at El Parque del Retiro. 3. It can help you test—and push past—your limits. 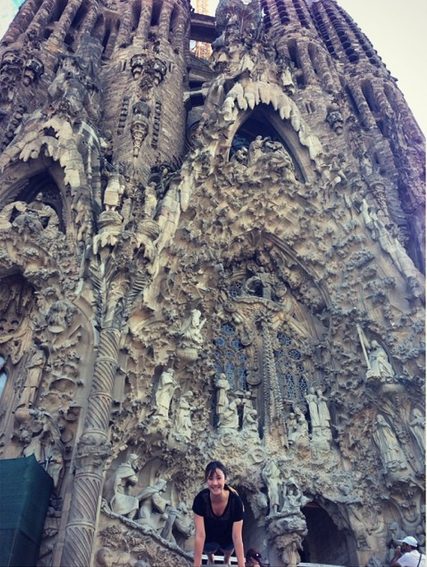 Displaying my playful foolishness in front of locals and tourists as I maneuvered my body into awkward poses in front of well-known monuments was a test of self-inflicted embarrassment. I walked around with burned hands because I planked on tile that had been scorched by the heat of the sun. I also endured the eye rolls of other vacationers waiting in line to take a picture. I pushed my personal boundaries of how much judgment I could take from strangers…with a picture-perfect smile. What better circumstance to test your limits—physically and emotionally—than in a foreign country where nobody knows you? 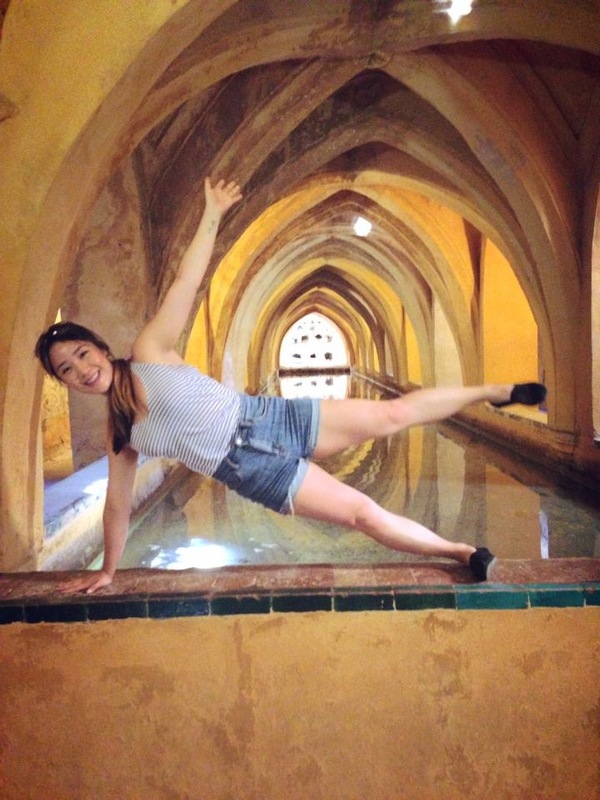 Side planking in the Baths of Lady María de Padilla. 4. It will challenge you—to learn more, be better, take that extra step, and try new things. I have zero experience in photography, and as such, I racked my brain to figure out which physical poses I could do to create a strong, aesthetic photo. I drew from my repertoire of gymnastics, figure skating, cheerleading, tae kwon do, and weightlifting. I challenged myself to balance on rooftops and ledges, and laid on more dirty surfaces than my usual germaphobe self would ever consider. I want to say I ran gracefully to prove him wrong, but instead managed to plop onto my face mid run, leaving with my own personal flair…and memories to last a lifetime. 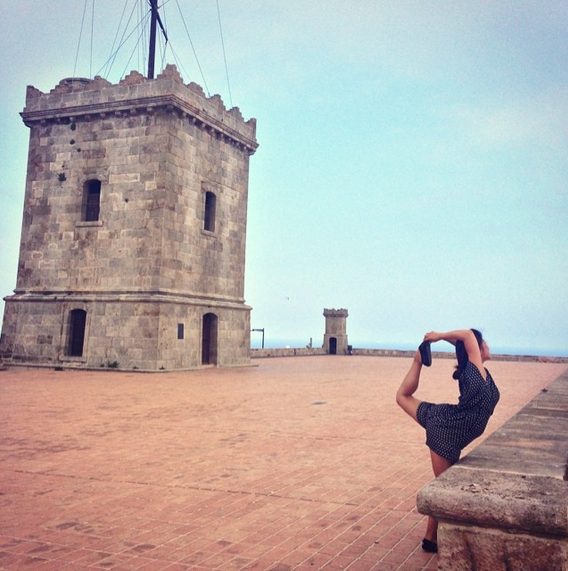 Bow and arrow pose on Castell de Montjuïc. 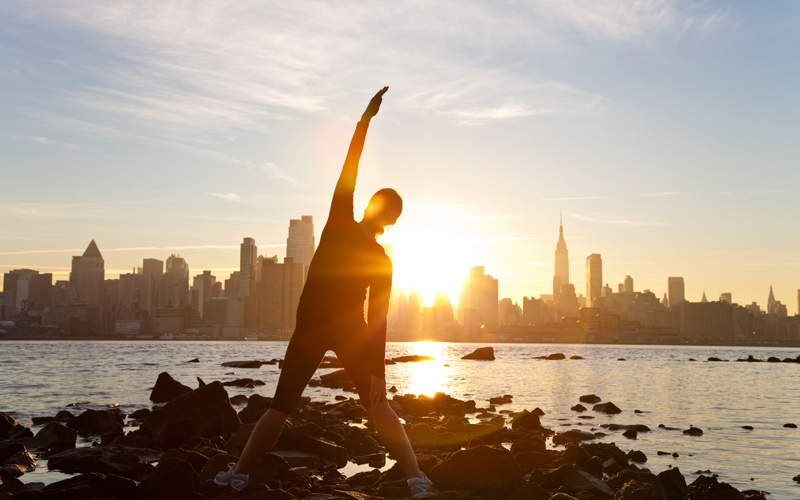 To join in on the #FitnessFoursquare movement, simply snap photos of your attempts to be more active during travel and tag them #fitnessfoursquare on Instagram. 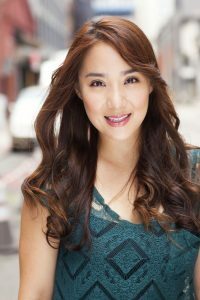 Gina E. Kim is a “paleoflexible” exercise addict and puppy lover who lives off stress. 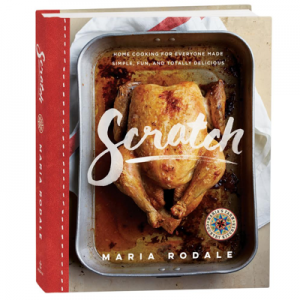 After working in and studying medicine, she decided to forgo medical school to pursue a more balanced lifestyle, which she felt she was lacking. Therefore, she’s beginning anew as she strives to become the next Ellen DeGeneres meets The Doctors with a pinch of Dr. Phil. Follow her on Instagram: @ginakiim. Cute idea! This is like a perfect hobby trifecta–travel, exercise, photography–that shows off your true you.